Slimming Down With Green Coffee! It’s green because it’s extracted from green coffee beans which haven’t been roasted brown. 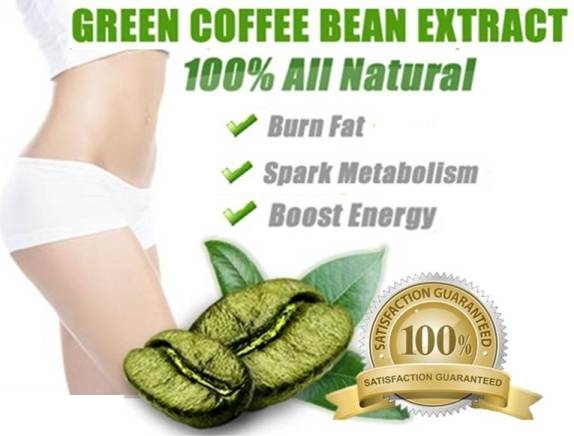 Green coffee is the new weight loss fad ever since it was first mentioned on the Dr. Oz’s show in 2012 on which it was referred to as “the coffee bean that burns fat fast and without any exercise.” Everyone’s on it because it’s showing some awesomely dramatic results over short duration of time, though the not having to exercise bit might be a stretch. The green-ness in green coffee beans and green coffee itself comes from the presence of an excess of a chemical called Chlorogenic Acid which is burnt brown in the roasting process. Cholorgenic acid facilitates the burning of body fat thus making green coffee beans a lot more effective in weight loss as opposed to regular coffee. The green chemical is also responsible for reducing the absorption of excess carbohydrates through the digestive system thus controlling blood sugar and insulin levels and a potential solution to diabetes. It also controls the amount of fat that is deposited in the body controlling excessive weight gain. In addition, other research also concludes that people with mild high Blood Pressure who take a specific green coffee extract (Svetol, Naturex) in a controlled regular doze have reduced blood pressure after 28 days of treatment. There’s always a but. The research on the benefits of green coffee is still in its initial stages and thus it would be better to say that it’s only possibly safe. Being higher on caffeine, it still puts the consumer at the risk of medical conditions that are normally associated with regular coffee such as insomnia diarrhea, increased heart rate and breathing rate, headaches and anxiety. Even direct sniffing of raw green coffee beans is said to trigger respiratory problems.Green coffee is also responsible for triggering mild Food Allergies. For the same reasons, green coffee is a complete no go for pregnant women and those breastfeeding.. While you may be inclined to sipping on a hot cup of green coffee because everyone’s on it, make sure you consult a nutritionist before making it a regular to your breakfast menu. A daily dose of 120 to 300 mg should keep you green and healthy. Arsalan Ahmed is a passionate blogger who loves to write on health and lifestyle topic.